London, H.G.Bohn, 1851. Etching, 255 x 355mm. Coloured. Trimmed from larger sheet. 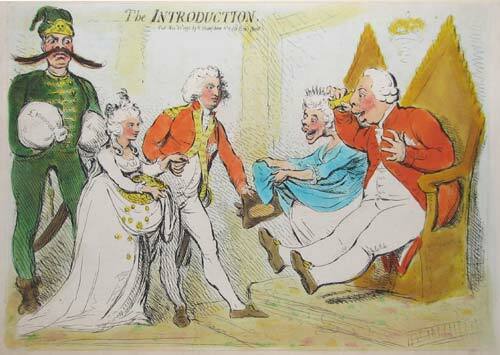 George III's eyes light up at the sight of his Prussian daughter-in-law's dowery. First published 1791.